A mechanical unicorn sheds its disguise. 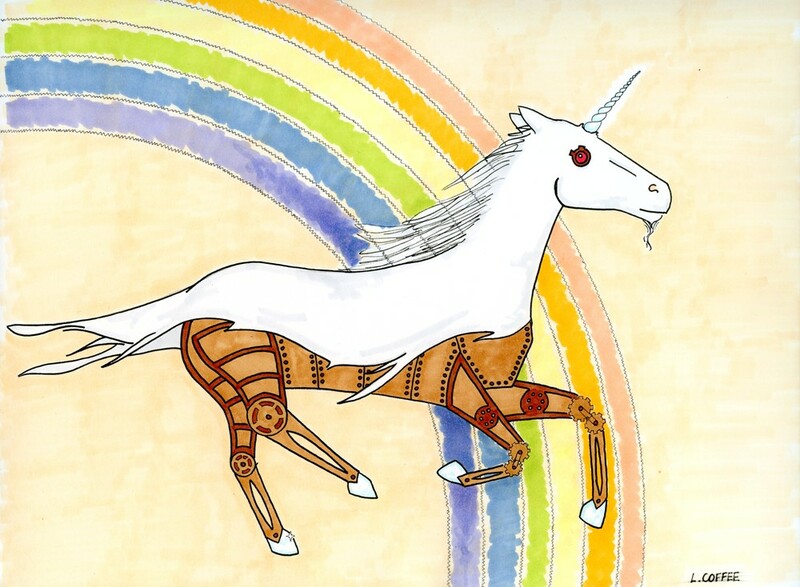 A mechanical steampunk unicorn, fueled by four powerful light-striking prism hooves races across the sky. The majestic beast attains such great speeds that the disguise which has allowed it to pass among mortals undetected is torn away.